Chris had always a great imagination. He made up stories since he was very little. When he mastered the art of writing he found out that the pen is a very powerful weapon. Not just for stabbing annoying people. After Highschool Chris applied for the School of Media. He got in, but he choose a much safer path (career wise). For one year he studied Management, Economie & Recht. Very soon he knew it wasn't his best move. Next year he applied again for the School of Media. And even the second time he got in. It must be faith. Or just massive talent. Journalism was the way to go. In the third year he specialized in media productions and made a short promotional movie for FC Zwolle. After that he did an internship at Scriptstudio Endemol and worked for a short period at Omroep Zwolle. He also got an offer to ghost write a book, but he declined once he found out he would lose all of his rights. That was the moment when he decided to write the story for himself. Once he finished his education at the School of Media he applied for the Schrijversvakschool (Writers School). Once again he got in. Yes, it must and can only be because of his talent. During his first year he realized that he was the youngest of all students. He was just a little boy in the eyes of the others. It was time for a change, it was time for the University of Amsterdam. Hard work got him through the Pre-master. This year it is time for some serious business. Chris just sharpened his pencil. So, watch out..... for some serious blogging. Social network sites are very popular within media studies. They are common research subjects. How often did you refer to Facebook or LinkedIn when writing an article? There is not one way to explore the universe of social media. But what direction do you need to go to reach that academic level? Is a Marxist approach necessary or are the theories of the Frankfurt School more fit? To do research on the subject you need to fully understand the concept of social network sites. Danah Boyd and Nicole Ellison created a very fine definition of the concept in Social Network Sites: Definition, History, and Scholarship. Blogs create social networks according to Geert Lovink. But how does it work? It is a fine research subject, especially if we look at the Masters of Media website. How does this site create social networks? There is an option to post a link to your blog on Twitter or Facebook. There is even an option to leave comments. But where does it lead to a fruitful social network? And does it actually do so? How do we analyze a blogosphere like Masters of Media? Especially when it is dead according to The Economist. ‘Blogging has entered the mainstream, which – as with every new medium in history – looks to its pioneers suspiciously like death.’ Is there a way to revive the blogosphere? 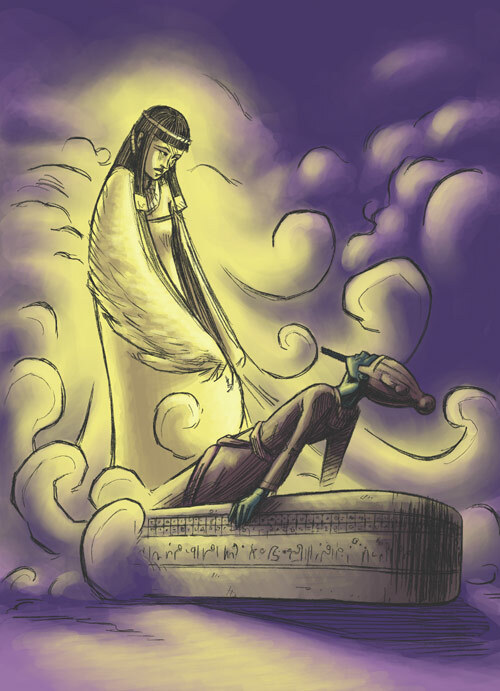 In the Egyptian mythology Seth inflicted Osiris’ death. His body was divided into fourteen pieces and these where scattered afar. Isis gathered the pieces and put him back together. Then she revived him with a song. Maybe the solution to reviving the blogosphere is also dissemination. But how do we put the pieces back together? Maybe we need another research approach. According to Boyd and Ellison ‘the bulk of SNS research has focused on impression management and friendship performance, networks and network structure, online/offline connections, and privacy issues.’ (Boyd & Ellison: 2007) So, how can we make the most of a blog, of a social network site? How can we use its full potential? To see how things these days work we need to understand how they worked in the past. A historical approach is necessary. Remediation is the key to revival of the blogosphere. Through remediation we can put the pieces back together we took earlier apart. Just like Isis did with Osiris, we can create new body parts for the Blogosphere. An important – maybe the most important – piece of this complicated puzzle is Twitter. Microblogging gives a site like Masters of Media a kind of dynamic, which is necessary nowadays. It will no longer be a static place of texts and photos. Micro blogging creates a certain amount of interactivity. Through Twitter people will be kept up-to-date. The frequency of news updates will be much higher. The Internet demands that you’ll always be up-to-date. Blogs are not fast enough. These are the snails and turtles in the Web 2.0 era. We need racecars; we need micro blogs and the more. 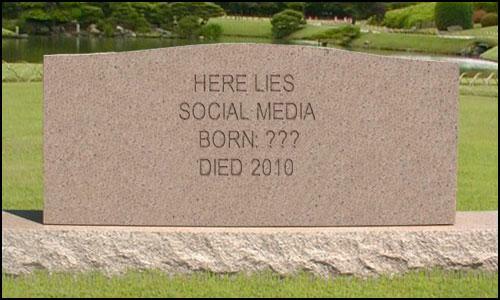 Nowadays it is not the question how we can use social network sites. It is not about what Twitter can do for you, but what you can do with them. Collaboration is the key to success. The more interactive, the more updates, the more success. So, why are most sites robust, inflexible, unwieldy chunks of information? We need to break down those chucks. Tear down the vast buildings in the blogosphere. It seems it’s time for a new architecture. We need to build an improved blogosphere. Interactivity is the glue that keeps the pieces together. But what will the future hold for us? How can we really bring these sites back to life? Only adding Twitter to a social network site is just a temporary solution. 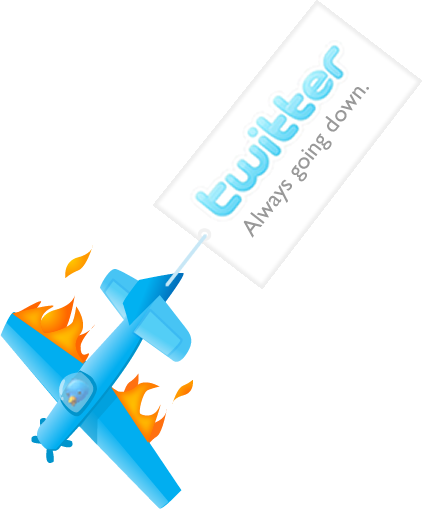 What will happen if Twitter dies?